Livin' Life With Style : Squeaky Floors? Read Here! Who here has at least 1 room in their house that has squeaky floors? I wish I was a fly on the wall at each and every one of your homes right now because I bet a lot of you just said "YES" to your computer screen. If you live in a 100 year old home in the city or a new build in the suburbs, I bet almost all of you have this issue. I'd also be willing to bet you don't want to do anything about it because you think to fix the problem you need to replace the whole floor. Well I am here to tell you that you don't have to! Silent Floor Solutions has come up with a process that can save you time, headache and most importantly MONEY! What they do is mark and drill small openings in the problem area. Then they apply a specially formulated material through the openings and then fill the openings to match the floor surface! Quick and Clean! Amazing right?! The openings are so small it's nearly impossible or invisible to notice any work done to the wood or carpet. Also, no damage or repairs to your ceilings as well. 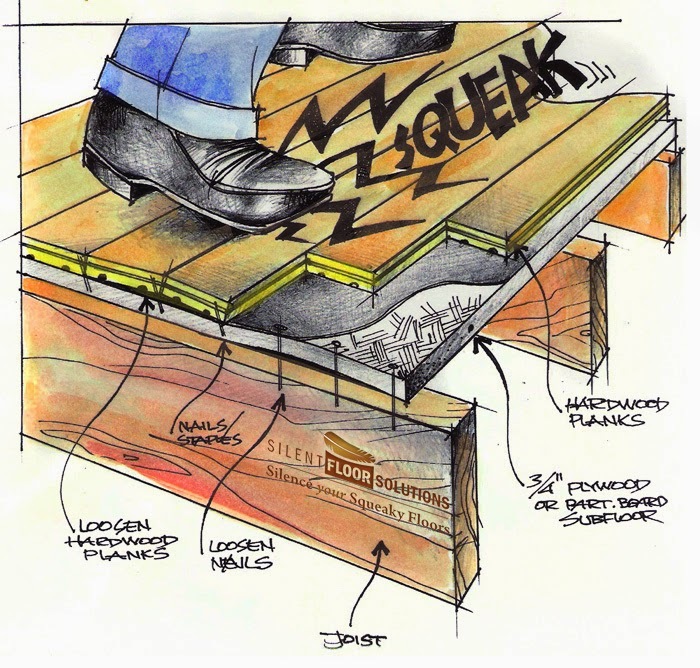 There are many reasons as to how you can get floors that squeak, but the most common reasons are Subfloor Issues, Environmental Changes and Poor Workmanship. 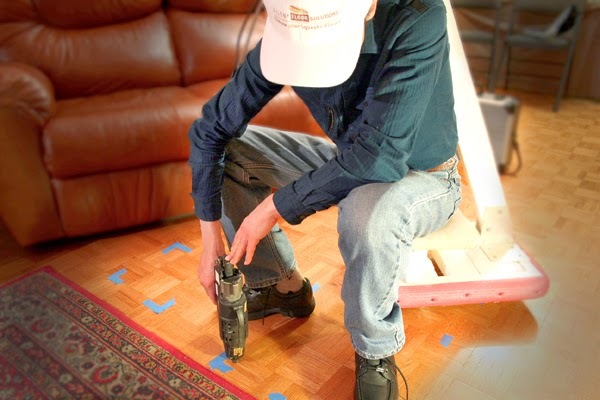 So if you have some rooms in your house that have squeaky floors, it might be a good idea to contact Silent Floor Solutions and have them come out and take a look. Most projects only take 1 to 2 days to complete. Check out their website here for more information or contact them for an assessment by calling 647-427-4260 or 647-476-4525. Mention this post and receive 10% off (up to $100 total) your project. They also have a great referral program as well if you know of any friends or family members dealing with the same issue as you.